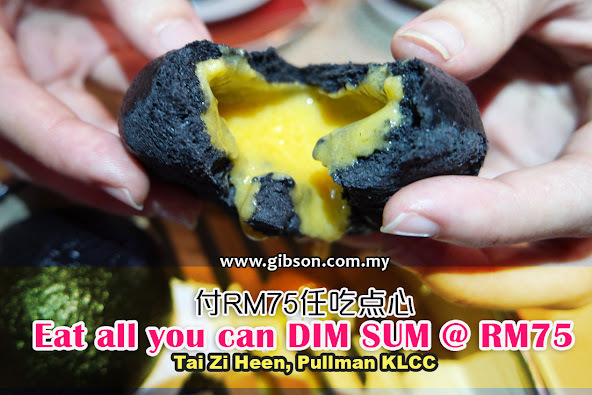 For just RM75, you get to enjoy 45 freshly prepared options of their brand-new dim sum menu with no limits, really eat all you can! But it is only available during weekends and public holidays at Tai Zi Heen restaurant, Pullman KLCC. Brand-new dim sum menu consists of 6 categories, namely appetizer, steamed, rice rolls & congee, deep-fried & baked, from the wok and Chinese desserts. 6 of us only managed to try 25 dim sums from the menu, and the full list of the menu will be provided throughout Gibson’s post. So, keep scrolling down for more information. Personally, Gibson always like the creamy egg tart here, but overall, their chefs are really working very hard to create interesting and creative dim sum menu, so besides the original Cantonese flavour, they even infused with Nyonya spices and western ingredients. The Yum Cha eat-all-you-can dim sum brunch is available at only RM75 per adult, kids eat free (under 5 years old) and pay 50% off (6 to 12 years old). Available every weekend and public holiday between 11.30am to 3pm. All prices are inclusive of 6% GST. RM75 is only price for the food, drinks not included. Advanced reservations are encouraged. For reservations and enquiries, please call +603 2170 8888 Extn. 8200.